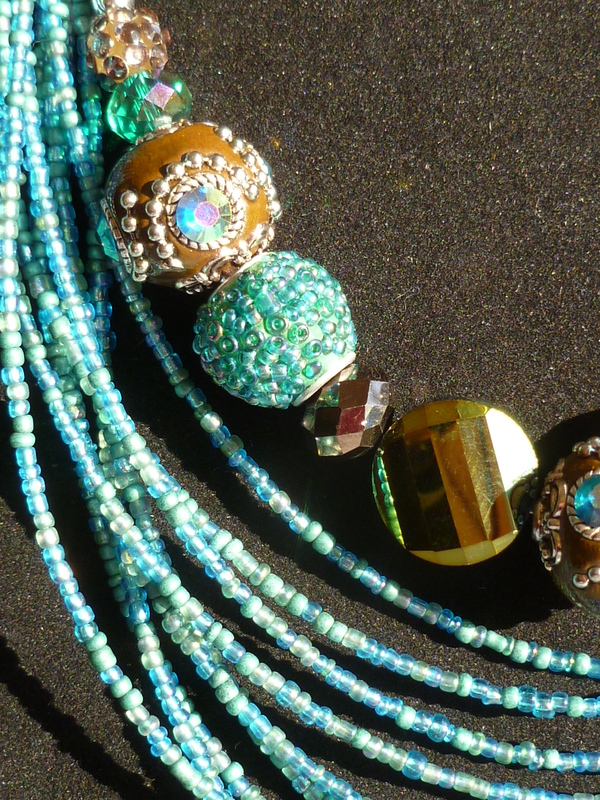 Necklace and earrings inspired by the sky over “the one true City,” from Roger Zelazny’s Amber Chronicles. 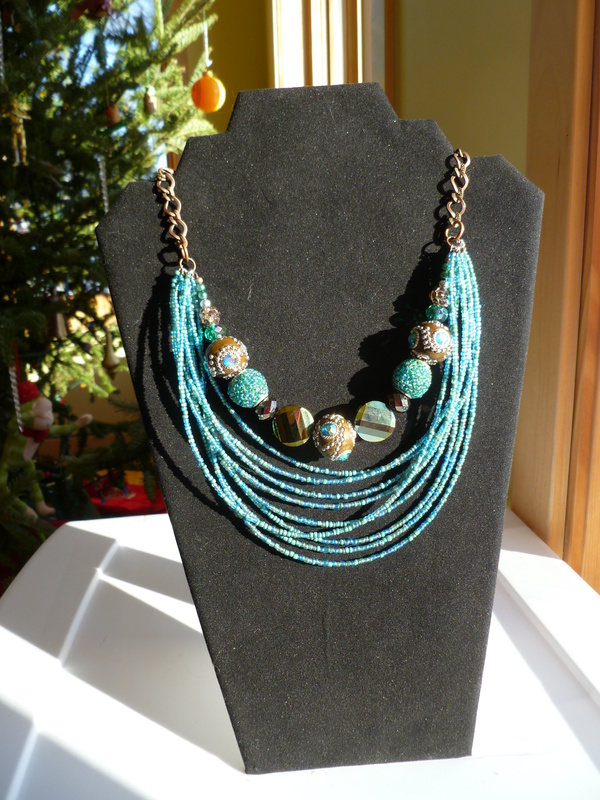 The bib-style necklace has a copper chain and multiple strands seed beads in a variety of blues. 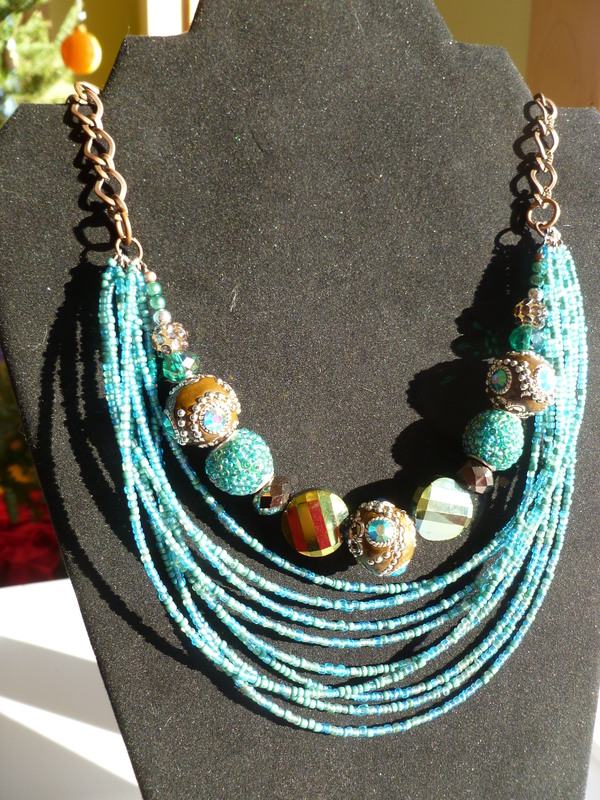 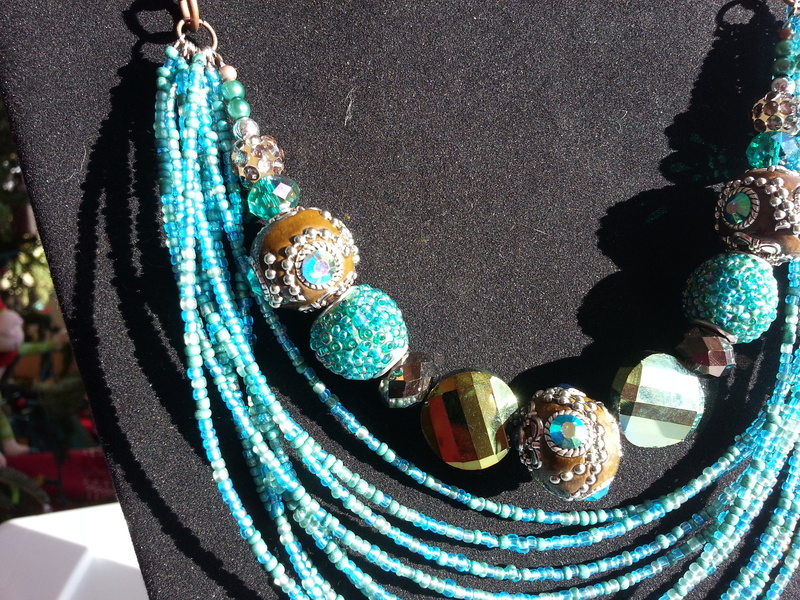 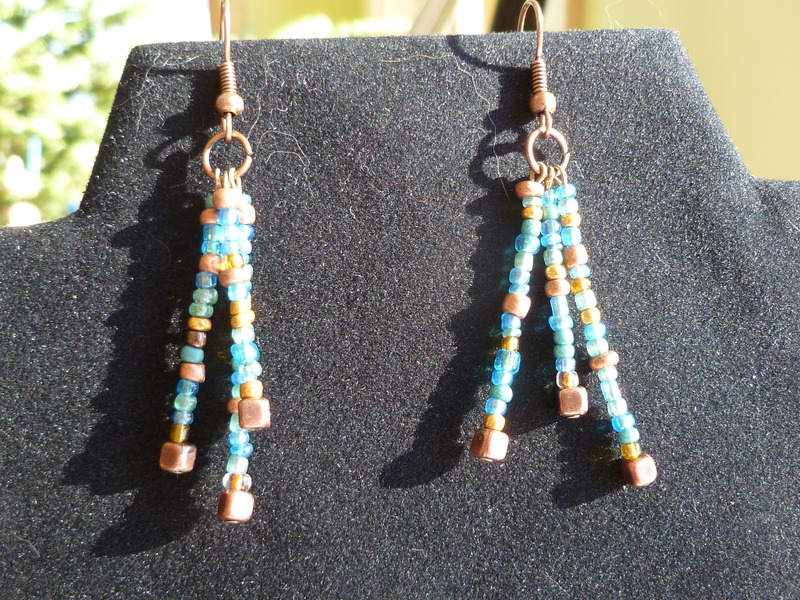 The larger beads are a mix of clay, glass, and metallic in copper and turquoise hues. 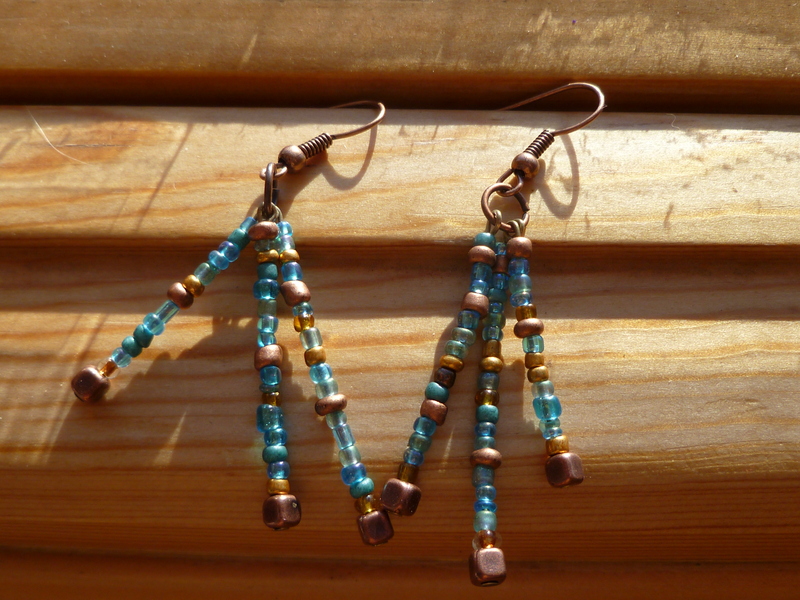 The earrings are glass and metallic seed beads on copper colored ear wire.